For all those who are having trouble locating where the battery cache goes. 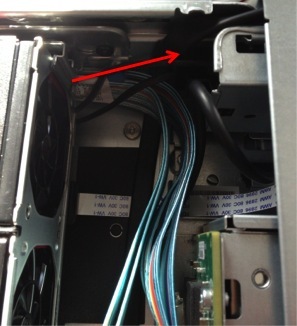 The Battery Cache is fitted in a compartment at the front of the Server on the lefthand side (front Facing). The battery sits inside a plastic cradle that then clips in to the aluminium housing (red arrow points to aluminium housing).